“Are these used tyres?” we ask. “Yes, all the tyres that are wrapped in plastic are used tyres, the other ones are new,” answers the salesman. Under the pretext of being customers interested in buying a tyre for the Honda Civic that we parked outside, we take a closer look at the used tyres, which clearly show cracks in the rubber. “Isn’t this a problem?” “No, a new tyre will look the same after two months of usage,” the salesman answers. He insists that the sale of such ‘used’ tyres is not forbidden, and that nobody has ever inspected his shop. A set of four tyres will go for Dh400, about the same price as one new tyre of the kind. 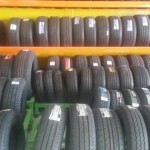 The sale of tyres that are non-compliant with the standards applicable in the UAE is banned. Although there are plenty of reputable companies with honest salespeople, the shady tyre sales and repairmen are tarnishing the business. 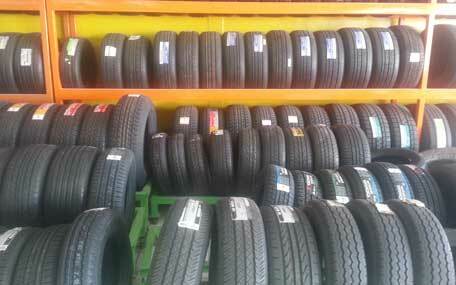 Anyone in need of new tyres can post their tyre size on the http://www.carshopbids.com website and compare prices from some of the best tyre suppliers and garages in Dubai.